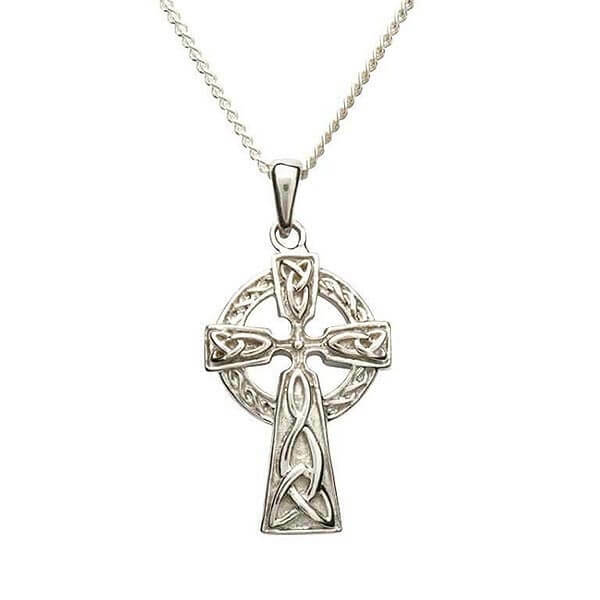 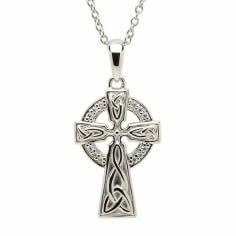 This traditional Celtic cross design is double sided. 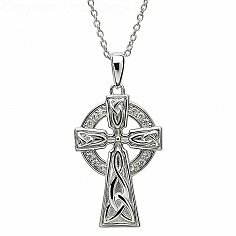 Handmade with the finest 925 Sterling silver, Trinity and Celtic knot designs were used to decorate each arm. 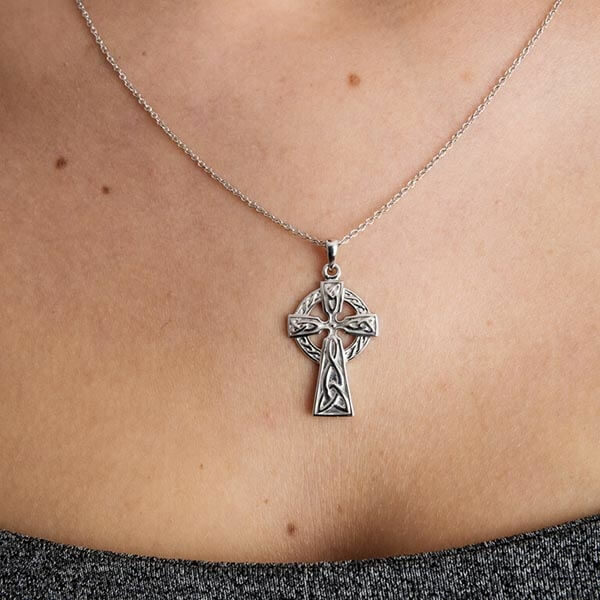 As with all our jewelry, each cross is tested and hallmarked by the Dublin Assays Office - your proof of the products quality and authenticity.